Known as the “Math Geek Mardi Gras”, Pi Day is a growing international event that underscores the wonder of numbers, by celebrating everyone’s favorite irrational number: Pi. So says the Insurance Information Institute (I.I.I.). And there is no better time than Pi Day to recognize that the insurance world is a treasure trove of facts and figures showcasing irrational decision-making, the I.I.I. believes. Named in honor of March 14, a date which spells out the first three digits of Pi—3.14—Pi Day is a red-letter day in schools and communities around the world. 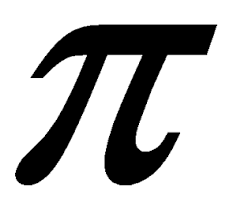 This year, Pi Day is a rare, once-in-a-century event: on 3/14/15 at 9:26:53 a.m., Pi will be spelled out to a total of 10 digits.